Where abouts are you located as you mention Reno/Carson City and also Southern California which is a fairly large distance apart! The machine is going to reside in Glenbrook NV, near Carson City. 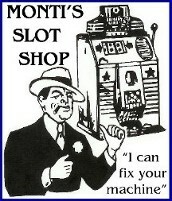 I am looking for a stand for the machine. Do you know where I can get one? Very familiar with the Glenbrook, Nevada Area! A lot of History in that area being the area that a lot of timber from the Tahoe area for the mines at the Comstock Lode in Virginia City was sent down from in the 1800's and in the past I lived in the Skyland area, just around the "bend" from Glenbrook and worked in the casinos of the Stateline area in the 60's/70's! 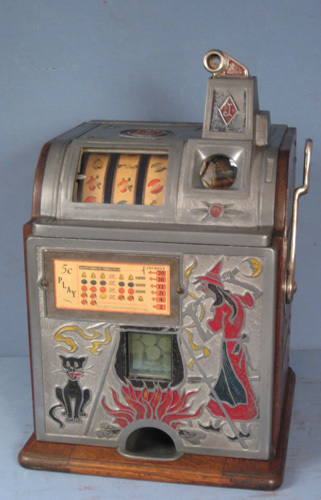 History of the 1800's is my second passion being an Old West Actor as well as a slot machine enthusiast. As for the question on the slot stands, as all the companies I have used over the years for supplying customers have now gone out of business they are very hard to find and they only come up as used items now on various sales sites, possibly someone here on the Forum may have one for sale! I am always looking for a source for the stands, singles, doubles and triples like we have seen in the past so if anyone knows of a source please let us know!